The Cathedral of Grace/St. John in Aurora. 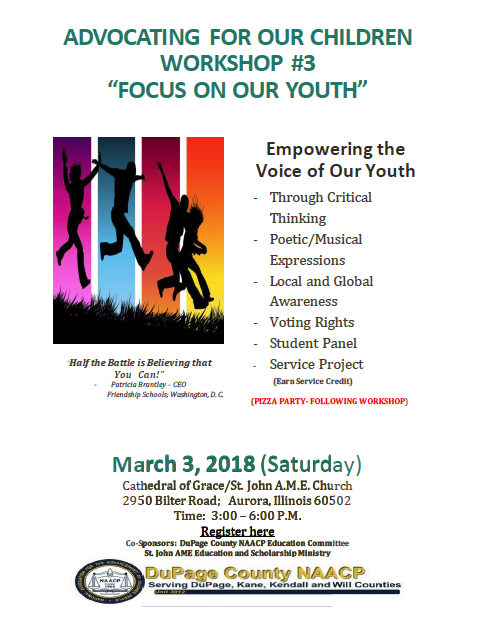 We look forward to having you attend and participate in a youth-focused forum designed to encourage and empower the "voice" of our youth scheduled for:Saturday, March 3, 2018, from 3-6 PM at The Cathedral of Grace/St. John in Aurora. There will be presentations, discussions, music, creative expressions, food, and fun!! The deadline for registration is Friday, March 2, 2018..